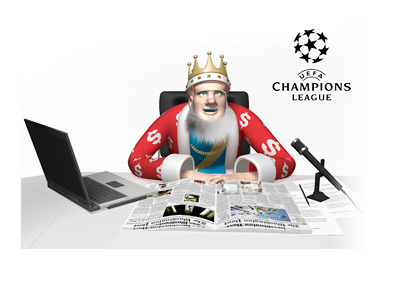 The UEFA Champions League is back after a long winter break. The first legs of Round of 16 start on Tuesday, February 16th, 2016 and four of the eight matchups that are coming our way have quite a mass appeal. PSG are playing Chelsea, Real Madrid face Roma, Barcelona square off against Arsenal and Bayern Munich have a date with Juventus. According to the odds, PSG, Zenit, Wolfsburg, Real Madrid, Barcelona, Bayern, Atletico and Man City are the favourites to advance to the quarter-finals. The return legs will be played on March 8th, 9th, 15th and 16th.